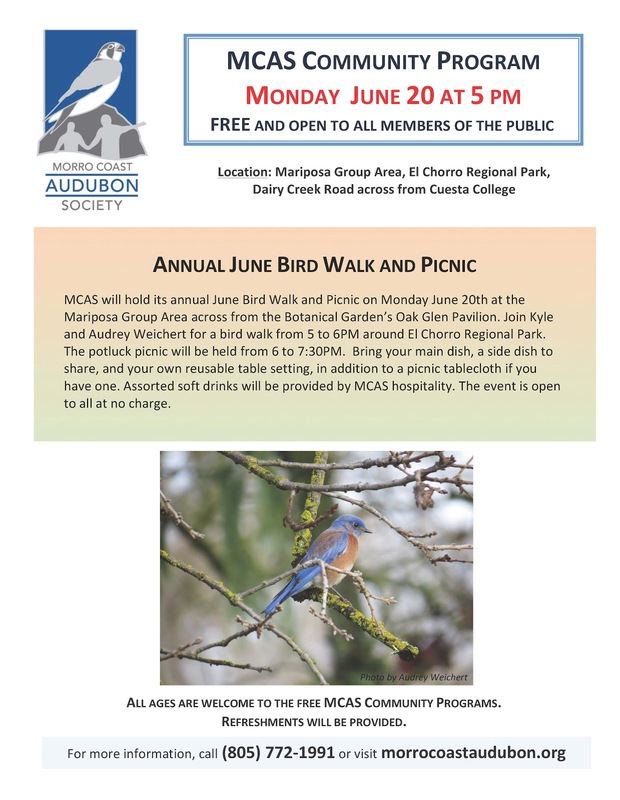 Please join us for Morro Coast Audubon Society's Annual June Bird Walk and Picnic on Monday June 20th across from the Oak Glen Pavilion at the SLO Botanical Gardens. Bring your main or side dish, table setting, and tablecloth (if you have one). Drinks provided by MCAS hospitality. The event is open to all at no charge. Click READ MORE button then Open Flyer for more details.